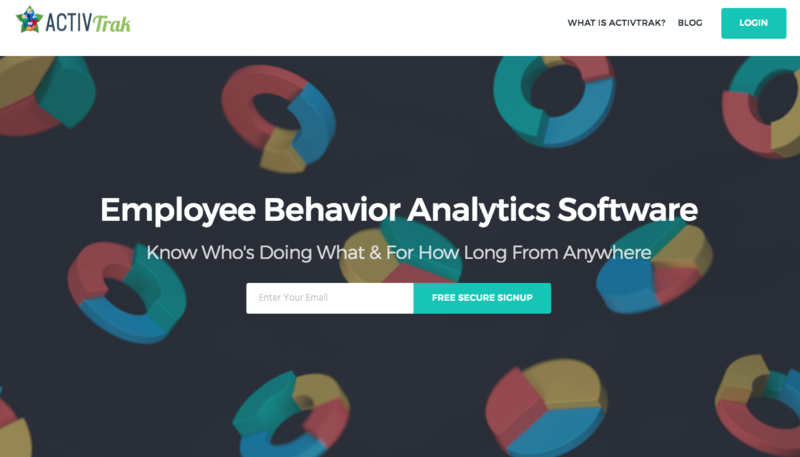 ActivTrak Review: Should You Stealthily Monitor Employee PC Activity? Do you know if your staff are using their time productively? Are your employees using web applications effectively? Can you prevent them from getting distracted on social media sites? Monitoring your employees’ work patterns is no longer an optional, draconian security measure used only by highly vigilant companies. More than three-quarters of U.S. businesses today monitor the websites surfed by their workers. In the next four years, the $200 million monitoring industry is expected to more than double to $500 million. What’s more, monitoring is not just about tracking whether an employee is spending productive time on specific applications and websites. It is also about protecting your company from security breaches like data thefts or malware attacks. Want to know who’s doing what and for how long on the office computer? You could get an employee monitoring software. There are many options available in the market to track PC activity. 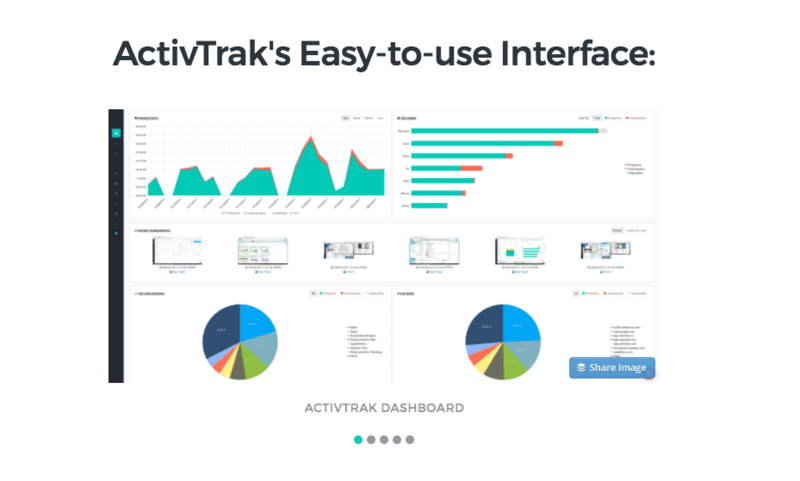 In this article we take a deeper dive into ActivTrak. Disclosure: We’ve tried to make this ActivTrak review as objective as possible, but you should know that we run a competitor to ActivTrak called Staff.com. 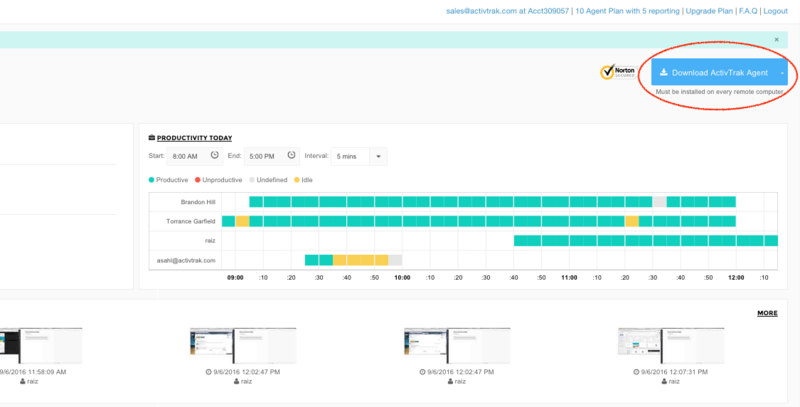 ActivTrak is a cloud-based monitoring tool that lets you track which applications your employees are using and which websites they are visiting. You’ll need to download and install an ActivTrak tracking agent – which is the monitoring software – on the computer you intend to monitor. The software then starts gathering and sending data about website and application usage to your dashboard instantly. The monitoring software is invisible to the user, so your employees will not know you installed it unless you want them to. However, with trust being an important factor governing employer-employee relationship, it is always prudent to let your workers know how and why their computers are being monitored. ActivTrak collects data on URLs, title bars of websites as well as screenshots of what your employees are doing on their computers. So, if your employee knows that screenshots are being recorded he will not inadvertently open his bank account, for instance on the office computer as this may jeopardize his personal financial data. ActivTrak does offer Data Leak Prevention (DLP) as an upgrade to paid accounts. DLP retracts sensitive information from screenshots. This is an important feature to remain complaint and protect employees’ personal information. You don’t need to wait for any activity reports to get generated. ActivTrak allows real-time monitoring, so you can check exactly what’s happening on your monitored devices at any point, from your dashboard. This way if one of your employees is using company time to watch movies, you will be able to track them immediately and advise them of correct company policy. You can easily modify the settings to block websites and applications or get notifications of flagged usage. You can also send a pop-up message on the screens of an employee who has, maybe unwittingly, ventured onto an unproductive or malicious site. The tool lets you preset which website and applications would count as productive work and which would be unproductive. So, if Brian from the social team spends hours on Facebook, his report will show that as time spent on productive activity. Whereas, if your operations manager is spending too much time on social media accounts it will raise a red flag. Apart from giving a list of websites and applications being used, ActivTrack also tells you the amount of time users are spending on those sites and applications. These reports give you an insight into common applications and websites being used by your employees. How does that data help? It helps you understand your team better by measuring key metrics and productive usage date. Handy when trying to improve your team’s performance. Want a low-down on its features? Let’s understand a few features of ActivTrak in detail. Let’s also examine how easy or difficult it is to use these features. With screenshots taken at regular intervals you can see exactly what the device user sees. Shots can be taken for specific URLs or websites and at a minimum time interval of 10 seconds. You can adjust the time intervals for screenshots. As a paid subscriber you can also take multiple screenshots for each URL or application window open. Negative: It shows the entire screen, so if user is on Facebook his/her newsfeed, messenger contacts list, groups, etc. will be visible to you. As a manager would you want such detailed levels of visibility into your employees’ personal space? That’s a decision you need to make. You can tag specific websites and applications under productive or unproductive category. ActivTrak already has certain predefined categories like job search websites which are under the unproductive tag. These categories can be edited. This is a great feature to understand how much time your employees are spending on useful work related activities. It also gives you an insight into employee behavior. For instance, if someone is spending a lot of time on job search sites, then they may be looking for a change. You can use this information to improve your employee retention strategies. Have a chat with that worker to understand if he/she has any issues that can be resolved. Negative: Each website has to be selected individually and marked productive or unproductive. It’s a bit tedious. Apart from giving you the URL and/or title bar of the website or application, ActivTrak also reports on date and time spent on each activity. You can also generate separate reports for top websites and applications being used on a daily basis. This gives you an insight into how the user was working, what they were working on and for how long. You also get to know how long the device was in idle mode. All data is visible on a real-time basis so you don’t have to wait for reports to be generated to see usage patterns. The tool segregates the data into pie-charts and bar graphs giving you a comprehensive picture of productivity trends and workstation usage at a glance. All activity is monitored in real time with a time stamp. Reports can be generated with website URL, date, time as well as duration spent. The tool is by default invisible. It is not listed in the programs list and doesn’t create any startup or desktop icons. It is also not recognizable from the task manager. It is up to the company to let their employees know that they are being monitored. It is best to follow local labor laws to determine how and when you should notify your employees. This allows you to track workstations only during working hours. This is an essential feature for companies where employees take their laptops home, or freelance workers with specific working hours. The feature lets you create unlimited number of custom reporting schedules. 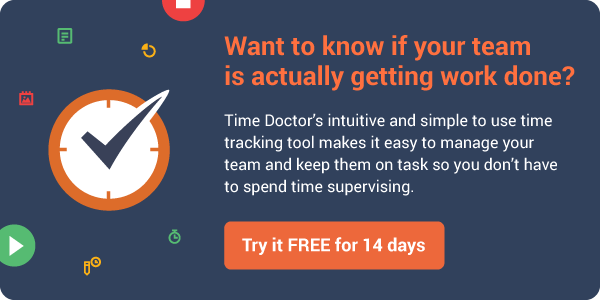 This gives you the flexibility to choose time blocks within a work day that you will monitor. This not only protects employee privacy but also makes reading reports much easier, as all data is relevant data. You can go to the ‘blocking’ tab to block websites from individual users, groups, or everyone at once. This feature helps you block low productivity websites like social networking sites. Some companies even block high-bandwidth sites like Netflix and Spotify to save costs or popular job searching websites. There is no trial period. Most of the features are available in the free plan. The free plan monitors three workstations and gives you 3GB of storage space. However, the option of multiple screenshots of each website or application is only available under paid plan. Remote installation of tracking software is also a paid feature. The tool allows you to setup customized popup notifications for specific devices when a user opens social media and other non-productive or malicious websites. You can set pre-defined conditions, that when met will trigger screenshots, email notifications to the account administrator, a popup message to the device user, and/or block an application on the device that triggered the alarm. This helps you control user activity on official workstations. For instance, if someone opens a Twitter account, a popup messages saying – ‘this is not a productive activity’ – can be triggered. The company has emphasized that they do not use any gray-hat monitoring techniques such as keystroke logging, or collecting passwords and other information from personal profiles. This is important as it keeps your employees’ private information secure. A useful indicator of productivity and what people are doing at work can be their levels of keyboard & mouse activity throughout the day. ActivTrak does track keyboard and mouse movements to measure idle time; however, it does not record actual keystrokes. There is no input from the user. All computer activity is captured and monitored in automatically and in real time. Workstation users cannot add any additional time. They also don’t need to activate the software, it automatically tracks usage whenever a device is switched on. After you create an account, download the ActivTrak tracking agent which is the software that you install on the device you wish to collect data from. You can download the agent onto a USB storage device and then upload it to each computer individually. For free accounts, this part is a bit tedious as you have to physically go to each device and upload the tracker. You need to do the same while uninstalling the tracking software – it needs to be done individually from each machine for free accounts. You can remote deploy ActivTrak on a paid account. This allows network administrators to install the tracking agent on any computer inside their network by simply pointing to the appropriate IP address. The agent, however, has auto-update capabilities, so once it’s installed on a device you don’t need to upgrade or run any maintenance applications. Paid accounts can use ActivTrak remote deployment of the tracking agent. This allows network administrators to install the tracking agent on any computer inside their network by simply pointing to the appropriate IP address. Will my employee know they are being monitored? The tracking software is not in the programs list, doesn’t create any startup or desktop icons, and is not recognizable from the task manager. Unless you specifically tell your workers that they are being monitored, there is no way for anyone to know. However, it’s wise to let employees know their PC activity is being tracked and how it is being done. Tracking someone else without their knowledge (even if it’s legal for employers to do so) will almost certainly violate their trust in you and your organization. And, when trust is gone, it’s not a cohesive and productive team anymore. Is it compatible with my anti-malware software? Some antimalware utilities disable stand-alone monitoring tools, so you may need to create an exception in your malware protection settings to ensure that ActivTrak can work properly on your systems. ActivTrak is available for free if you want to monitor 3 computers. Your free account allows for 3GB of storage space (used for screenshots and logs) which is sufficient for hundreds of screenshots. You can delete old data if you run out of storage space. 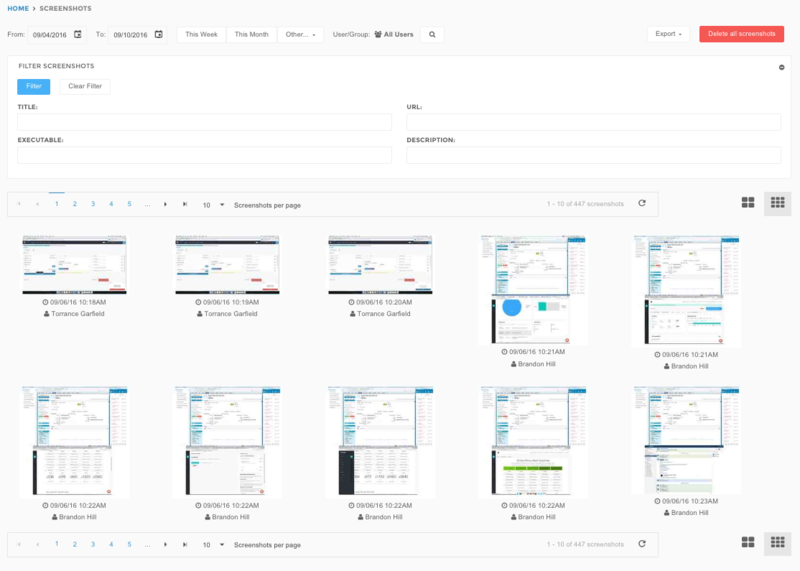 Under the free account, the tool records a single screenshot each time the employee clicks on a new window or the webpage changes on the monitored computer. Paid accounts start at $69 a month to monitor 10 employees. Larger organisations have to pay $249 a month to monitor 50 workstations. They also have yearly and paid once-every-three-years plans. The only other advantage as a paid subscriber (apart from being able to monitor more than 3 devices) is that you have the ability to record continuous, multiple screenshots for a newly activated window. ActivTrak is great software, but it does have some less positive points, and is missing a few features that could add a lot of value. Productivity Report show summaries only rather than trends over time or data for separate days/weeks in the same report. This means that if you want to view a person’s daily productivity for the past 30 days, you need to run the report 30 times. “Top Users” report shows summaries only. If you want to know how many hours someone worked on each day over the past week… again you’ll need to run the report 7 times. No fixed screenshot intervals. If you want to take screenshots every 3 minutes throughout the day, there’s no way to make that happen. Instead ActivTrak has more complex rules for when screenshots are taken, such as “after 20 seconds on a new website”. Although this method has its benefits, it can also result in too many or too few screenshots. Not possible to delete individual screenshots. It’s possible to delete screenshots in bulk, but there’s no way to delete individual screenshots that you want removed. No option to view different people’s websites/apps separately in the same report. If you want to view websites/apps for 50 people separately, you load a report 50 times. No keyboard & mouse activity reporting. A useful indicator of productivity and what people are doing at work can be their levels of keyboard & mouse activity throughout the day. ActivTrak doesn’t provide this information. ActivTrak assumes that monitoring people’s activity will lead to higher productivity. But is this assumption necessarily true? The thing about ActivTrak, is that an employee has no role to play at all in the software. On the other hand, there are tools like Staff.com that help people become more productive by allowing them to track their own time usage. This helps them become more aware of how and where they are using their time in office and in doing what – and accordingly learn to become more productive. However, this learning element is completely missing in ActivTrak. It’s a monitoring tool rather than a productivity tool. Furthermore, Staff.com offers a much better way to manage employee productivity and track employee website and application usage as it involves a high degree of openness and trust. While tracking how an employee uses his time in office and his PC usage is important, it is equally essential to do this using a system that is transparent and equitable. Different options are available out there. But if you wish to use a tool that can help you track employee productivity without losing their trust, sign up for a free trial of Staff.com. Employees may work more effectively and not waste time if they know they’re being monitored. Informing employees is fair to them. Employees know not to open websites that can contain sensitive information, such as banking websites. Neither ActivTrak nor Staff.com can be fully concealed. An employee curious about the processes running on their computer always has a chance to discover the software. If you inform them about the software in advance, that will likely go over a lot better than the employee discovering on their own that you’ve been monitoring them. Don’t panic or fire someone every time they visit a non-work website. Studies have shown that a certain amount of time focused outside of work can lead to higher productivity.